Just like all elements of any wardrobe, jewellery and piercing moments also come and go. The woman who has been setting the agenda for some time now is Maria Tash. To the uninitiated out there, she's the New York–based professional who has a nonstop flurry of fashionable girls and A-listers, such as Beyoncé, Zoe Kravitz and Gwyneth Paltrow, flying in from all over the world to knock down her door. They come to discover not only the latest, coolest piercings but the delicate pieces to put in them too. So if you've ever wondered who started the super-fine mix-and-match curation trend for your ears, wonder no more. 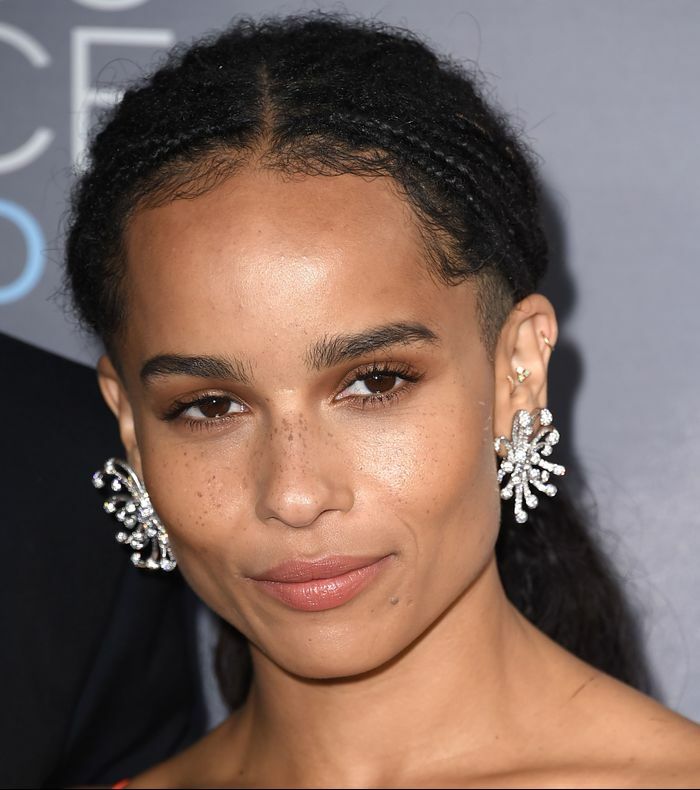 Zoe Kravitz has a curated set of piercings from Maria Tash. 1. Asymmetry is getting more adventurous. 2. Diamond studs are as small as possible. 3. Alternative metals and stones are key. Head over to our sister site Byrdie to see the updos you should pair with your piercings. Shop for Venus by Maria Tash online here.